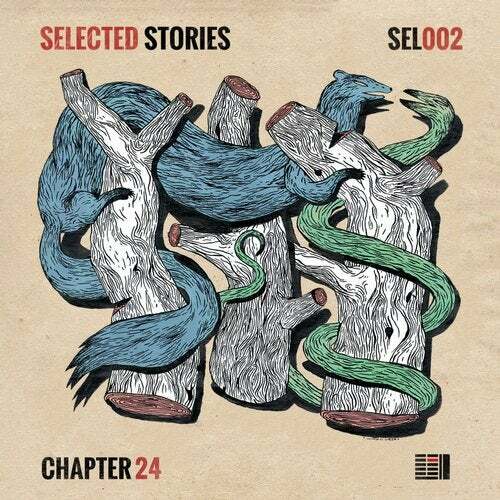 Since its inception, Chapter 24 has been built on music that tells tales. Now, with Selected Stories 002, the label presents a new, carefully curated sampler of some of its most treasured stories in sound. Focusing on the most impactful recent releases - as well as on material which may have passed lower on the radar - the package shines a light on excellent Editions by The Drifter, JOBE and Konvex and The Shadow, alongside powerful originals by Thodoris Triantafillou, Andy Bros, Sobek and Brigado Crew. Works by THC, Rinzen and Ivory all stand out in a balanced selection that emphasises the quality of the London-based imprint's output over the last 12 months. The tales spun here invite you to get lost in the narrative, to step into another world…to re-emerge from reveries with new insights and altered perspectives. A return to house and techno that you can believe in.